First the ground shook violently, and then a succession of towering waves smashed the island of Honshu. As people sought shelter and braced themselves during a magnitude 9.0 earthquake and tsunami—the worst and deadliest experienced by Japan in a century—they had no idea what was yet in store for them. The rest of the world was transfixed as well by the unfolding events when on 11th March 2011, four years ago this week, multiple reactor cores at the Fukushima Daiichi nuclear power plant had meltdowns and threatened millions with radiation exposure. Today, scientists continue to assess the effects on public health and ecological damage, while the nuclear industry still reels from the worst disaster since Chernobyl. Lochbaum and Lyman are both senior scientists and nuclear energy analysts for UCS, while Stranahan was the lead reporter of the Philadelphia Inquirer‘s Pulitzer Prize-winning coverage of the Three Mile Island nuclear accident. They appear to have written the book for a US audience, as they include investigations of the Nuclear Regulatory Commission (NRC) and the vulnerabilities of nuclear reactors in the US similar to Fukushima’s. The authors describe the tumultuous week of 11th March 2011, as TEPCO workers with little information about what is happening inside Units 1-4 of the plant, scramble to contain the meltdown and prevent additional radiation spreading to a larger zone and getting into the air, water and land. (Residents who weren’t evacuated were told to stay indoors but remained in danger.) First flooding occurred throughout the plant, backup power generators available turned out to be inefficient, there was insufficient water to keep the reactors cool, workers couldn’t enter buildings as they had already exceeded their allowable radiation exposure, an explosion delayed recovery efforts and scattered more radioactive material, and spent fuel pools turned out to be as dangerous as the meltdowns themselves. 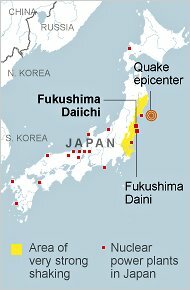 If a natural disaster could trigger a crisis like the one unfolding at Fukushima Daiichi, then, one might wonder, why aren’t even more safety features required to prevent such a catastrophic event from occurring? The short answer is that developers of nuclear power historically have regarded such severe events [“beyond design-basis” accidents] as so unlikely that they needn’t be factored into a nuclear plant’s design. Lochbaum, Lyman, and Stranahan give a blow-by-blow of the worsening disaster, at times perhaps going into too much detail or giving more background than all but the most interested reader would want to follow. The writing style sometimes was a bit dry as well, though there were plenty of dramatic moments as well. For example, a particularly moving scene occurred when Katsunobu Sakurai, the mayor of Minamisoma, a devastated coastal community just outside the twelve-mile (twenty-kilometer) evacuation zone, took a video pleading for assistance from anyone. “With the scarce information we can gather from the government or TEPCO, we are left isolated,” Sakurai said. “I beg you to help us…Helping each other is what makes us human being[s].” He posted the recording on YouTube, which was viewed by more than two hundred thousand people, and then relief finally poured in. 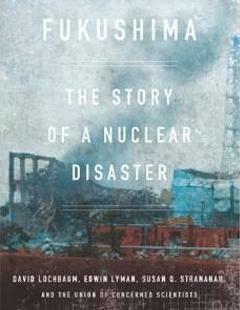 The authors also describe debates and disagreements between TEPCO and NRC officials, such as about which of the four most damaged reactors and spent fuel pools were at risk of releasing more radiation and which presented the most pressing danger, as they could not focus on all four units at once. They also disagreed about an appropriate evacuation zone, as the NRC eventually recommended a larger zone, and about what officials should tell the public and US citizens in the area. The NRC outlines four or five levels of nuclear power reactor “defense-in-depth,” where first an event occurs, then it could be followed by core damage, radiation release, and exposure to the public. Safety measures at each level are intended to prevent the accident from worsening to the next level, but each level has more and more uncertainty. More importantly, beyond design-basis accidents could exceed all levels of safety measures at once. It turns out that in the US, there are numerous Mark I boiling water reactors similar to the ones in Japan. They have similar safety measures as well, as the international nuclear industry generally has the same regulations in both countries. Following Fukushima, some analysts argue that many nuclear reactors throughout the US could be vulnerable to floods, fires, and earthquakes, and people are not sufficiently prepared for such events. For example, 34 reactors at 20 sites around the US are located downstream from large dams, and “the threat posed by the failure of those dams was not taken into account when the plants were licensed.” The authors highlight a particular example: the three-unit Oconee Nuclear Station in South Carolina is especially at risk. The Prairie Island nuclear plant southeast of Minneapolis is another. People think that “it can’t happen here” in the US, but apparently it can, so that leads to the critical question, “how safe is safe enough?” This is a complicated question, and it remains unanswered. The Japanese continue to recover from the real and figurative fallout at Fukushima. Four years after the disaster, while scientists assess the damage and recovery, sailors sue TEPCO after radiation exposure, the NRC can’t decide how to proceed, and scientists study possible contamination to food supplies and the ecological toll. The thorough analysis in Fukushima remains extremely relevant today, and those interested in the risks and challenges of the nuclear industry will do well to read it. In my opinion, the authors could have included a little more discussion about nuclear energy in the context of energy policy and implications for it as we move to a carbon-limited economy. But this was beyond the scope of the analysis in their book. 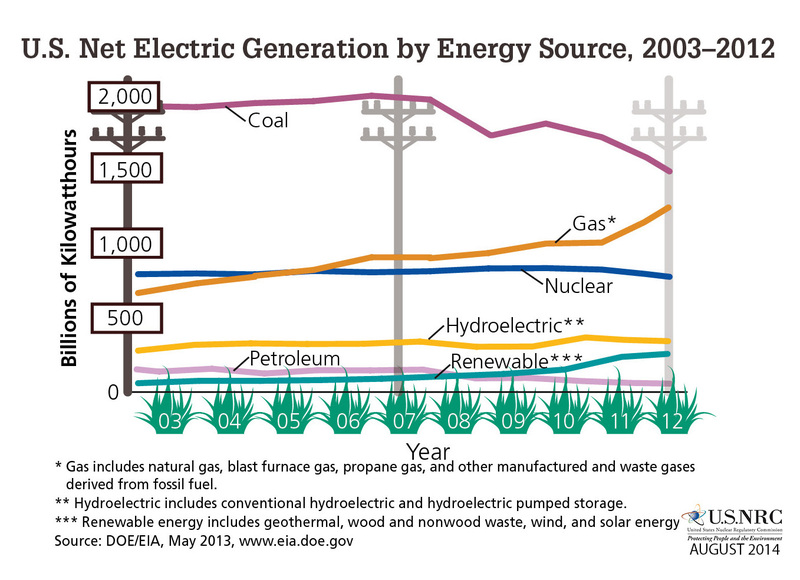 In the US, in spite of Three Mile Island, Browns Ferry, and other accidents or near-accidents, nuclear energy remains a primary energy source. Many countries oppose nuclear energy, while others such as France, Russia, China, and South Korea, have many plants and have more in construction. At this point, it might not be possible to transition to a low-carbon economy in the US without including nuclear energy as part of the transition. In the long term, I believe that solar and wind power have the most potential with the least risk, and countries such as Germany have shown that it is possible to ramp up investment in wind and solar in a short period of time. Who knows–maybe fusion energy may be a possibility in the very long-term future, but as I’ve noted before, the ITER experiment is behind schedule, over budget, and has management problems. Finally, we must focus on energy demand, not just supply. We should work on making our cities, industries, transportation, and communities less energy intensive, and it will be worth the effort.